Originally from a suburb of Kansas City, she is dedicated to helping students study abroad because of her own life changing experiences having lived and worked abroad herself. She attended Kansas State University where she earned a B.S. in Elementary Education with a special concentration in Art Education. While an undergraduate student, she worked part-time at a federally funded Title XI Equity Assistance Center, where she got her first taste of other cultures and nationalities, working alongside staff from Sri Lanka, Greece, and Mexico. After graduating from college, she had the “chance of a lifetime opportunity” to complete a summer internship in Germany, which eventually was the springboard to her successful career abroad and love affair with different cultures and languages. She joined the CEPA Europe team in 2001 and has extensive experience facilitating international partnerships and working with faculty members and staff to meet their education abroad goals and program development. 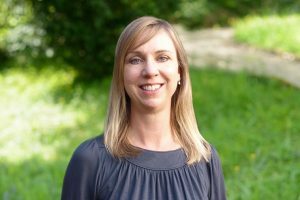 At CEPA Europe, her role is coordinates affiliate university partner relationships, co-develop global initiative and leadership programs, and works closely with the Academic Advisory Board. Also included in her portfolio of responsibilities are facilitating the academic webinars, production of the marketing materials, and maintaining the program websites. She takes great pride in being able to have worked for 15 years in an international company which is passionate about education and cultures. Heide’s travels have taken her to many countries throughout Europe, Asia, Africa, and her own “heimat” the USA. Outside of her role at CEPA, she enjoys spending time offline with her family and planning her next adventures to satisfy her wanderlust. Her native language is English and she is fluent in German. “Keep an open mind and don’t be afraid to try new things or meet new people while you are abroad.